The Gardiner Expressway separated my apartment complex from Fort York. It’s particularly ugly in what it does to the urban landscape, driving a wedge through it, but it serves an essential purpose, to move through traffic past the city center without tying up city streets. 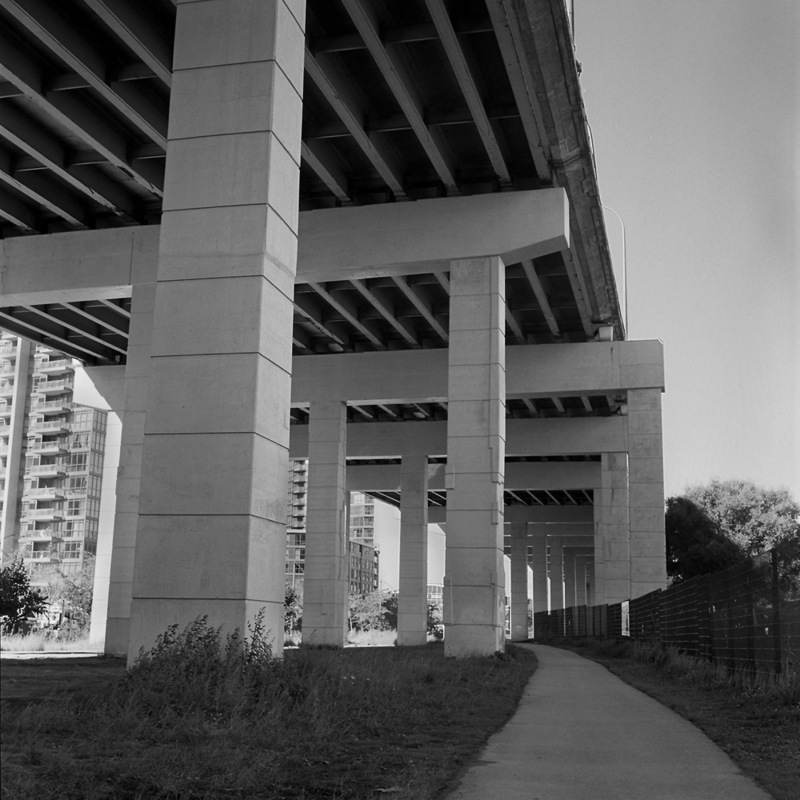 Viewed from underneath, it becomes a ribbon of patterns in concrete. Goes to show you that you can find beauty in even the most utilitarian of things.